Sibat: in the strictest sense, a spear; a long, slim and hand-held projectile made of wood or metal that is hurled through the air in combat as a weapon. It is also something that our forebears used to hunt and slay animals with. For instance, ‘Sibat na at bakâ mahuli ka pa.’ Go quickly or you might get caught. It was in this context that a Filipino transportation phenomenon was christened the ‘sibat.’ This was a jeepney that did not linger at a station but instead cruised through it and, therefore, left quickly. Despite the failure of government – at least in these parts – to provide a cheap and efficient mode of transportation for citizens, one knows that there is a ‘sibat’ jeepney that will pass in front of one’s home in a matter of minutes at any time of the day. ‘Sisibat na!’ barkers and conductors cried out. This meant ‘aalis na’ or the jeepney would leave right away. In contrast to the ‘pila’ – meaning ‘line’ – a jeepney that joined a line of other jeepneys at the station, each waiting to fill up with passengers before leaving. 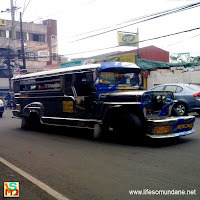 In the old days, the ‘pila’ jeepneys preferred point-to-point passengers; and drivers of these used to rudely admonish short destination passengers to next time ride the ‘sibat’ instead. The economies of the two jeepney cultures were different from each other. On the one hand, the ‘pila’ was practically a chartered jeepney assured of a full income from each trip from its point-to-point passengers. The philosophy had its pros and cons. Being in the pila meant long idle or wait time at the station; and particularly so if the jeepney arrived to find many jeepneys already in the queue. That said, the drivers used up less fuel and were less harried at the end of a day’s work. The problem with the ‘pila’ was that its economies did not extend to the roadside passenger. It was these that the ‘sibat’ took its chances with. The Filipino roadside passenger has his own idiosyncratic ways. In advanced countries, those who cannot afford cars avail of cheap public transportation thoughtfully provided by government. One walks to and from stations or bus stops to be able to get one’s ride. Ours, however, is not really a walking culture. The average Filipino passenger prefers to get his ride in front of his home and, on his return, expects to get off in front of it as well. The conductor of a bus I once road sarcastically referred to this cultural trait as the ‘magtitinapay’ mentality, a reference to the early morning bread vendor who peddled his ‘pan de sal’ from house to house. It was this very mentality that the ‘sibat’ was tailor-made for. The ‘sibat’ also picked up passengers at the stations who were too impatient to wait for the ‘pila’ to fill up. Sometimes, if it was lucky, it could even fill up even at the station. Many on board would probably be shorter distance passengers that the ‘pila’ drivers did not want in the first place. Not that it really mattered, because when these got off, there were those waiting along the roads to take their places. Not all the time; and for the driver of the ‘sibat,’ each trip could be something of a lottery except on rush hours. 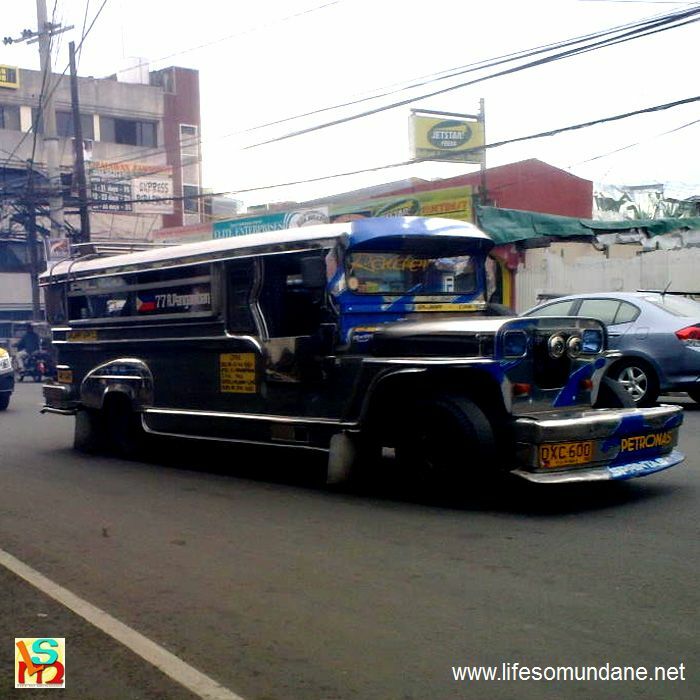 I have taken rides when I practically made a taxi of the jeepney. And I have also ridden jeepneys that had only one other passenger but then filled up at the next bend with an entire village of passengers. Sometimes, it could be down to timing and just plain luck. The ‘sibat’ jeepney probably spent more time on the road and its driver was probably more harried at the end of the day. But the driver could always cut his trip if everyone had gotten off mid-route and either turn back to head the way it came from or head home for a bit of rest or a meal. Who’s to say whether the ‘pila’ or the ‘sibat’ was more lucrative? I had heard drivers debate the merits of either. My guess is that, over time, the income of one mode approximated the other. It was all down to the preference of the driver and how he chose to earn it. After all, to this day – at least in this part of the country – there continue to be both the ‘pila’ and the ‘sibat,’ each catering to its share of the market. If anything, the ‘sibat’ jeepneys far outnumber the ‘pila’ these days, probably due to space limitations in stations and local traffic ordinances. In fact, if one does not come along in about 10 minutes, one begins to suspect if there is a strike or something.